Our Ancestors - The Murosky & McDonald Ancestral Lines: Cabinet Card: Leopold George Selker, Jr.
Posted to the family photo album website is a cabinet card of Leopold George Selker, Jr. as an infant. Leopold may have been photograph in the fall of 1918 or the spring of 1919. The original cabinet card is lovely with an embossed border. The original photograph has an almost metallic appearance. Full cabinet card of Leopold Selker, Jr.
Cropped and enhanced image of Leopold George Selker, Jr.
Leopold George Selker, Jr. was born July 28, 1918. 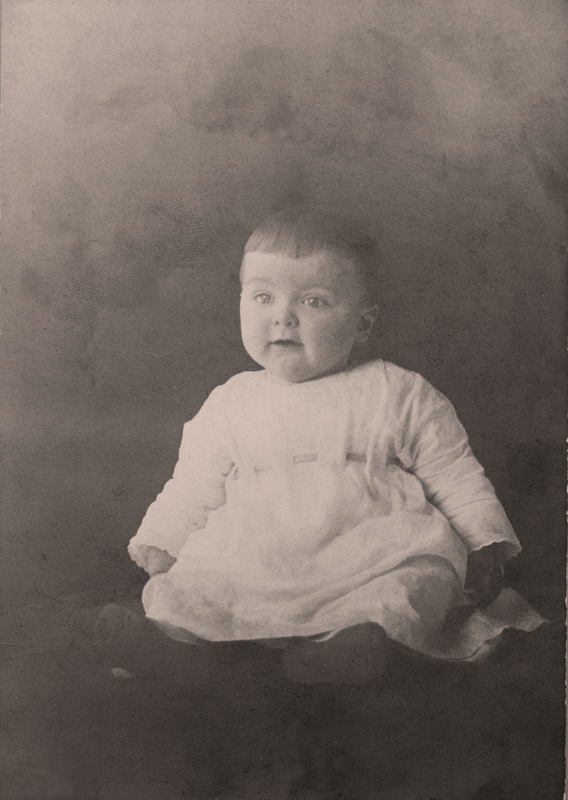 He was the son of Leopold George Selker, Sr.(28 Sep 1891 - 10 Dec 1955) and Katherine V. Hartle (1894 - 01 Sep 1970). Leopold George Selker, Sr. was the oldest son of Joseph William Selker and Frances Philomena Guth. 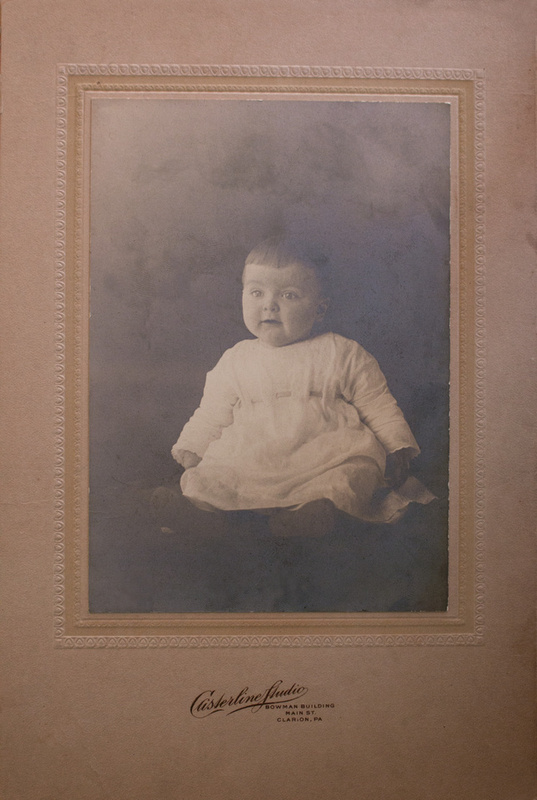 The photo was found in the Frances Philomena Selker Collection. Photograph by Casterline Studio in Clarion, Pennsylvania. Editing and digital restoration by Michelle M. Murosky. Leopold George Selker, Jr. is my 1st cousin 2x removed. He is a first cousin to my maternal grandmother Mary Eugenia McDonald. Joseph William Selker and Frances Philomena Guth are the common grandparents that link the cousins.